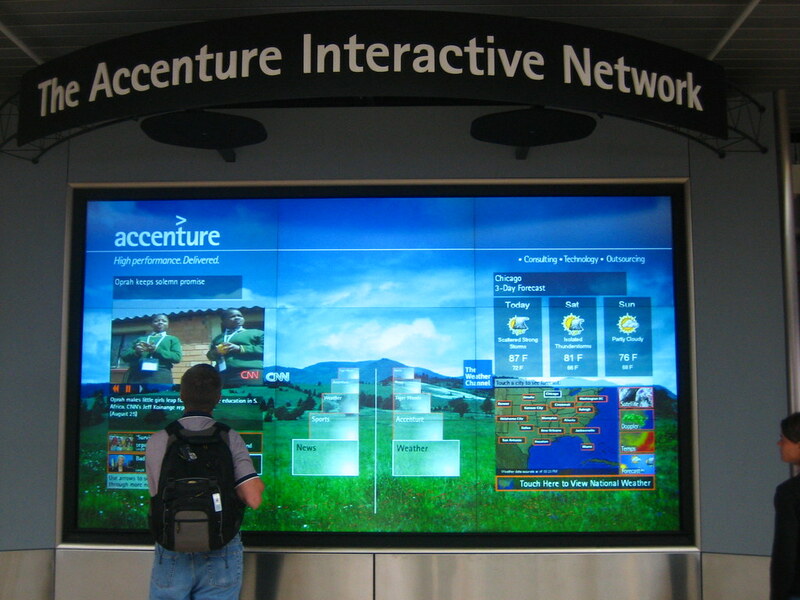 Digital signage is entering a new phase of interactivity, driven largely by digital-native millennials. It is familiar to them, mostly because of their prolific use of mobile technology. “Interactivity is quick, which is good for those on the go. Not only is it familiar and intuitive, but it offers speed of information gathering. It cuts out the middle man,” explained Todd Mores, director of emerging technologies at Peerless-AV. He presented the benefits of interactive technology and how it applies to outdoor environments during the recent Digital Signage Expo in Las Vegas. Cutting out the middle man, Mores adds, equals a quicker ROI and additional revenue from ads. Technology options for interactivity in an outdoor environment include infrared and projective capacitance. Infrared is the less expensive option of the two. It also provides excellent optical clarity with no need for an additional cover glass. Conversely, the technology for projective capacitance is more complex and evolved, but it’s better for larger formats and is faster and more reliable. It translates well for multiple points of touch. Example of projective capacitance system . Mores added that disadvantages of PC include susceptibility to EMI noise; it requires an air gap to avoid interference; and wire traces can be detected in certain instances. It’s also higher cost than infrared and more immune to debris. There are a handful of scenarios that are especially driving this interactive technology, including multiple points of touch (anywhere from one to 40 points of touch); ambient light immunity, which is needed to work in outdoor environments; and static object rejection, which allows for natural interaction. The biggest takeaway Mores kept revisiting during his presentation was the force driving the technology – millennial consumers.